The nominal and real price of oil from 1861-2015. For more than a century, the price of oil had been declining. In October 1973, the Shah of Iran threatened to increase the price of oil dramatically, and when the US airlifted weapons to Isreal in the middle of the Yom Kippur War, OPEC responded with a 70% increase in the price of oil, then with an embargo on the US. The price of oil rose from $3 to $12 per barrel, and the industrialized world would feel the collective effects for over a decade. The terms of the struggle over oil had been set, and from now on there was no denying that the age of oil would not last forever. On top of that, the Club of Rome had published its wildly popular document, The Limits to Growth in the previous year. Computer simulation dramatically demonstrated the fallacy in assuming that economic growth could continue indefinitely in a context of growing populations and limited resources. 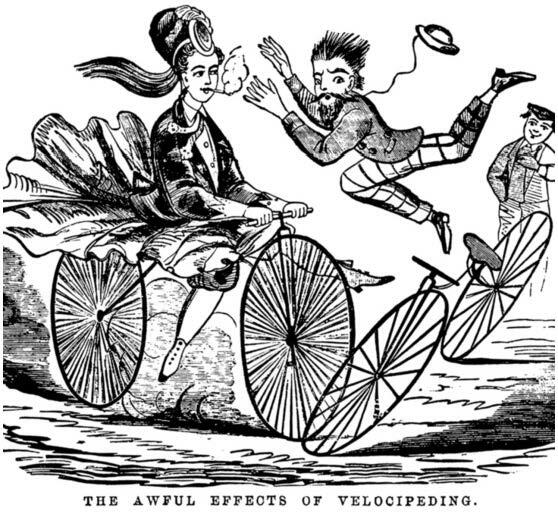 In March 1973, Scientific American carried an article by the Oxford engineer (not the screenwriter) S. S. Wilson, entitled “Bicycle Technology.” Wilson describes the bicycle as a “humane and efficient machine” that played a central role in the evolution of the ball bearing, the pneumatic tire, tubular construction and the automobile and the airplane. One remarkable piece of information in Wilson’s study is that a human on a bicycle is the most efficient moving machine among living creatures. If we count the amount of energy consumed in order to carry the same weight the same distance, the bicycle is more efficient than the automobile, more efficient than the airplane (unfortunately, trains are measured here). But when you ride your bicycle, you are also more efficient than a pedestrian, or a horse, a sheep or a dog. You are even more efficient than a salmon swimming upstream. It’s been a while. Just over three years, and I’d like to say hello again. In the meantime, I’ve spent half a year in South Africa, in the Western Cape, which boasts the Cape Town Cycle Tour, otherwise known as the Cape Argus (after the newspaper that sponsors it). The Cape Argus kicks off in just 2 days, and it’s celebrating its 40th anniversary this year. It began in 1978 as a protest ride to pressure city council to think about bicycles as part of its urban planning. The official website admits that, as such, the event failed spectacularly for decades. But they do claim that, thanks to the Cape Town Cycle Tour, those objectives are now being realized across the city. Last year the famous Cape trade winds were so strong that the race was cancelled for the first time in its history. And this year you have to wonder whether there is going to be enough water to keep the 35,000-plus participants hydrated. Cape Town is on track to be the first major city in the world to run out of water. Which brings me back to cycling. Strong winds one year, no water the next. We are talking climate change, and climate change is one of the things that made me want to start this blog. And it’s what made we want to come back to it after a three-year break. 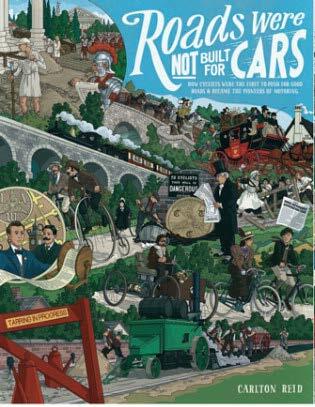 Two years ago I posted about Carlton Reid’s research into the prehistory of motoring, and how it evolved from cycling. I’m thrilled to at last have a copy of his book, completed at last. As fall approached, the ride around Queen’s park started to look different. Now you can move in relative safety from Harbord to Wellesley. I always thought that if I’m knocked off my bike, it was going to be a car. But it was another cyclist. I was crossing Bathurst at Adelaide on a green light when another cyclist tore through red and slammed into my bike as I crossed the street, fracturing my ribs, injuring my face, destroying my front wheel, breaking my glasses. I was too injured and shocked to get his name and number, and by the time I realized what had happened, he was gone. The crossing guard saw everything. I had witnesses; I had a victim, but no perpetrator. I phoned up repair shops to see if anyone had brought in a damaged bike fitting the description of the bike that had hit me. No luck. Then one of the bike shops suggested I call the police. Maybe they have cameras where I was hit. The two officers who came to my house were very kind, very sympathetic. They explained to me that, even if I succeeded in locating the person who had injured me, there was nothing they could do. I could, of course, take him to small claims court. If I found him, would they lay charges? No, they told me, this is not considered a traffic accident, so it’s not a matter for the police. So aren’t bicycles traffic? No, apparently not. The reasons turned out to be quite convoluted; they had something to do with bicycles not having license plates. But I have witnesses who are prepared to testify that he rode through a red light when he hit me. That doesn’t matter. Police, it turns out, will only lay charges if they see this happen with their own eyes. 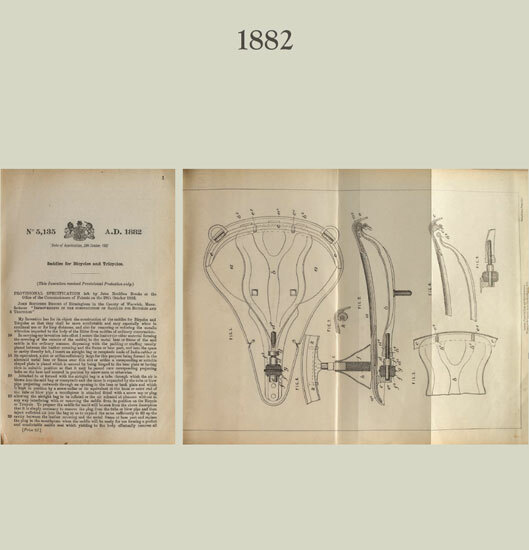 In 1866, when cars didn’t yet rule the roads, John Boultbee Brooks began manufacturing harnesses and general leather goods. 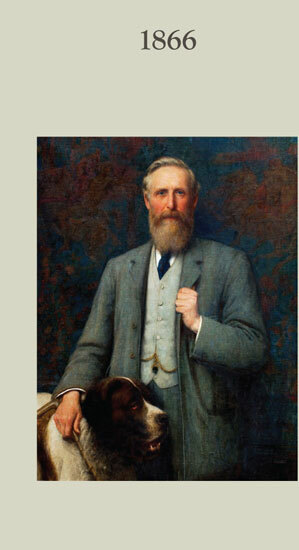 His now famous leather bicycle seat was designed in 1878. Now, thanks to an innovative collaboration with the Royal College of Art, Brooks England is pushing the synergy of cycle and art to new places.